You know that lead that contacted you from your website last week? Where did they come from? If they came from a search engine, what was the keyword and what page did they land on? Knowing the answers to these questions can help you make educated decisions on where to invest your money online or maybe where to focus. 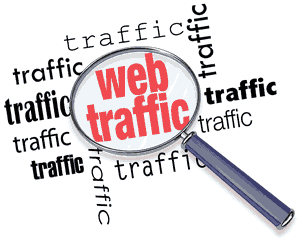 I’ll explain how to track what traffic is effective on your website. Visitors come to your site and there are certain activities that you want them to do on your site to convert them into a lead. These are called conversions. A conversion could be filling out an online contact form, a quote request form, providing information to download a white paper, purchasing a product or any other action that you deem fulfilling a goal. Using Google Analytics, you can implement code into thank you pages or other pages that visitors can only reach by accomplishing that goal. Implementing this piece of code and setting the “goal” up in Google Analytics will provide you with a whole host of information about where that lead conversion came from. The important piece of data to look for with goal conversions with search engine leads is the keyword they used and the page they landed on. This information tells you what keyword was used to find your site, what page is ranking for that keyword, and that this keyword/page combination can be effective in converting visitors to leads. To really get a good idea of how well this keyword/page combination is working, you have to look over a few months but knowing this can provide you with an advantage. If you know that a keyword coming into a certain page is converting at a high rate, you can tweak the content, meta tags, and some headings to help this page rank even higher for that keyword, which will most likely bring in more goal conversions. A referring site is any site that has a link to your site, which someone clicks through to. If I’m on Facebook and I click on a link to this site, the referring site in my Google Analytics will show up as Facebook.com. That lets me know that someone clicked through from Facebook and I can see whether they converted to a lead or not. This information is extremely useful for directory sites or other listing sites that may offer enhanced listings or advertising. Let’s say that you have a listing on a free directory site that seems to rank well for one of your main keywords. You find that over a month with that free listing, you had 50 people click through to your site and 5 of them completed one of your goals and converted to a lead. That’s a pretty high percentage. You see that this site is very useful to your business, highly relevant, and they offer an enhanced listing for $97 a year. This enhanced listing allows you to add a picture, add some more content, have a more prominent link to your site, and lists you for every city in the State, not just your main state. Having seen the success you’ve had with the free listing, it would very much make sense to purchase the enhanced listing and you have data to back up that purchasing decision. This is just one example but it’s not a made up one. These are actual numbers that I found on a free listing site and upgrading to the paid service doubled the amount of leads I got from the site. Because they were highly relevant and high quality leads, a good portion of those leads ended up becoming clients. When you’re marketing your business online, you have to find out how effective your marketing efforts are. If you’re spending $3,000 a month on advertising but you’re not getting any leads, that doesn’t seem very effective. Conversely, if you’re spending $3,000 a month on advertising and you’re getting 20 new clients a month at $2,000 profit for each, that can be very effective. The point is, you don’t know unless you’re tracking it and analyzing that data.